WarioWare Gold – The infamous schemer Wario is back! Play his new microgame collection, where you’ll have seconds to complete 300 different microgames. Better think fast to succeed! You’ll use the touch screen, tilt the system, push buttons and rock the mic as you laugh through fully voiced stories featuring new and classic characters. 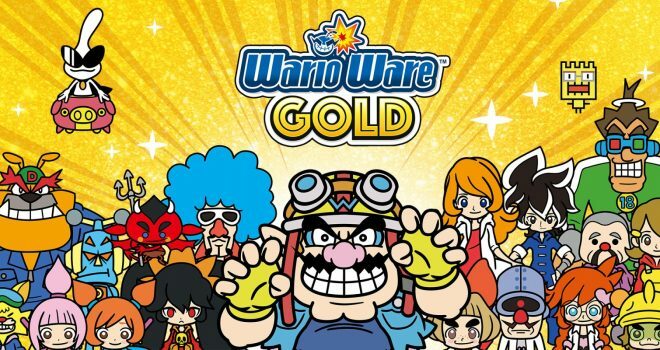 The WarioWare Gold game will be available on Aug. 3. Dead Cells – The Dead Cells game puts you in control of a failed alchemic experiment trying to figure out what’s happening on a sprawling, ever-changing and cursed island. Tough but fair combat, responsive controls and challenging foes make for a demanding and cathartic action game. Dead Cells will be available on Aug. 7. Flipping Death – Welcome to Flatwood Peaks, a small whimsical town with a problem – Death is on vacation. Play as Penny and help trapped ghosts with your trusted scythe. Flip the entire world around to solve puzzles on both the living and the dead side, and slowly uncover the mystery surrounding your own demise. The Flipping Death game will be available on Aug. 7. Salt and Sanctuary – A doomed sailor is shipwrecked on an uncharted island. In fog-shrouded valleys, shambling figures begin to stir. Beneath crumbling, salt-worn structures, labyrinthine passageways lead to unspeakable evil, long forgotten by man. The Salt and Sanctuary game seamlessly combines fast, brutal and complex 2D combat with richly developed RPG mechanics. Discover, craft and upgrade more than 600 weapons, armor pieces, spells and items as you explore a cursed realm. Forest Escape – Run, run away. You have to escape from this dangerous, terrible forest. Danger breathes in your back and it’s gaining speed, it will soon catch you up, run faster. Just don’t hit the tree! Fire Emblem Heroes: Feh’s Summer Celebration – It’s been one year and six months since the release of the Fire Emblem Heroes smart phone game. We’re throwing a Summer Celebration full of limited-time events, including log-in bonuses, special quests and daily reward maps, to express our gratitude for your continued support. Check out the game site for more information about the celebration. Keep the fun going all summer long with action-packed My Nintendo rewards! – To help celebrate the launch of the WarioWare Gold game, we’re offering Wario-themed rewards, like a Nintendo 3DS Home menu theme featuring Ashley, one of the key characters from WarioWare Gold, and wallpaper. Redeem your points to get them! My Nintendo is also offering up to 50 percent discounts on action-packed titles that’ll give your gaming skills a workout throughout the summer. Check out the rewards and redeem your points for the discounts today.